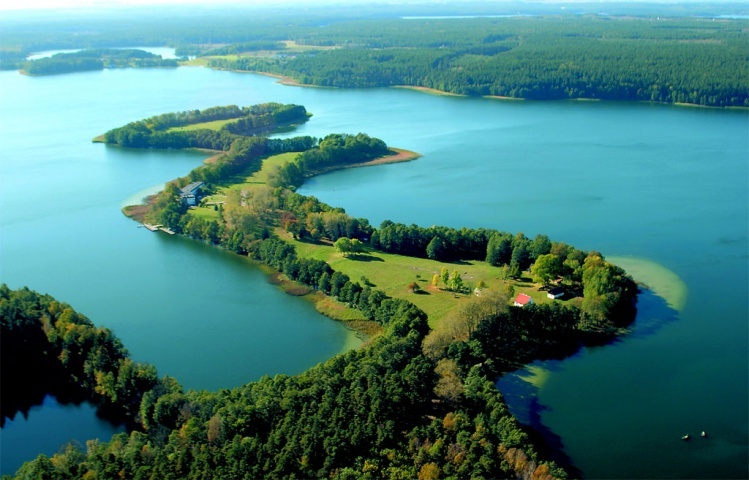 Warmia and Masuria is a land of adventure and leisure. Before your eyes, one of Europe’s most beautiful landscapes extends here. Thousands of years before, this terrain has been shaped by a glacier, which created the hills and hillocks intertwined with thousands of lakes, pools and ponds. These were surrounded by woods and forests, the kingdom of animals and birds. 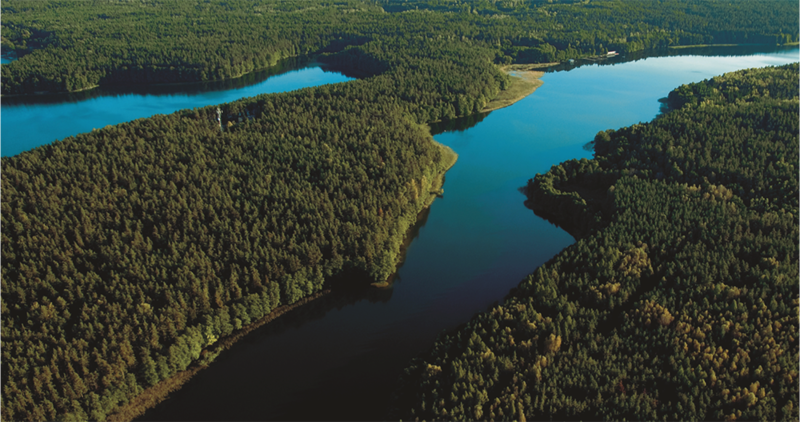 Thanks to these woods and forests the North-Eastern region of the country was called the green lungs of Poland and in the competition for 7 New Wonders of the World Masuria was placed among the 14 most attractive places on the Earth. Warmia and Mazury region is distinguished by a rich cultural heritage. The architecture, art, science, crafts and trade have been developing here for centuries. The medieval castles form one of the most beautiful tourist routes in the country – Gothic Castles Route. The medieval churches, monasteries, pilgrims’ churches and roadside shrines created in the catholic Warmia are of unique architectural and artistic value. A wide range of urban and recreation facilities attracts a number of tourists in the summertime. The festivals of music, cabaret and culinary, the reconstructions of battles, air shows, sailing races, kayaking and sailing cruises have been increasingly popular for many years. 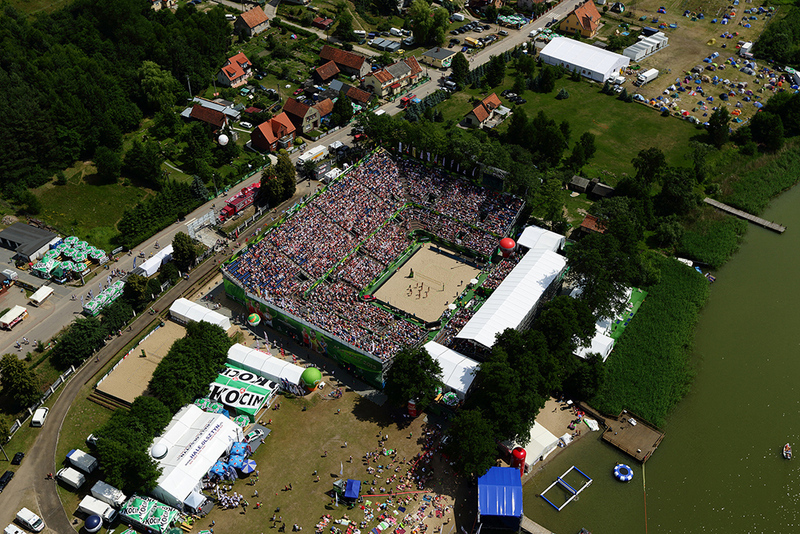 When twenty years ago, on the beach in Stare Jablonki first lorries brought sand, even the greatest optimist did not dream that this small Masurian village would host the greatest sportsmen in the world at the sporting events of the highest rank. The venue in Stare Jablonki is one of the few in the world to have all the necessities in one place. All Beach Handball facilities, accommodation and restaurants and the main courts are located on the beach of the lake Szelag Maly. You will find here: 1 main court, 1 side court, 1 warm-up court, grandstands for over 2500 people and space for over 2000 people around the side courts.